I just liked Jessica Alba a lot more. 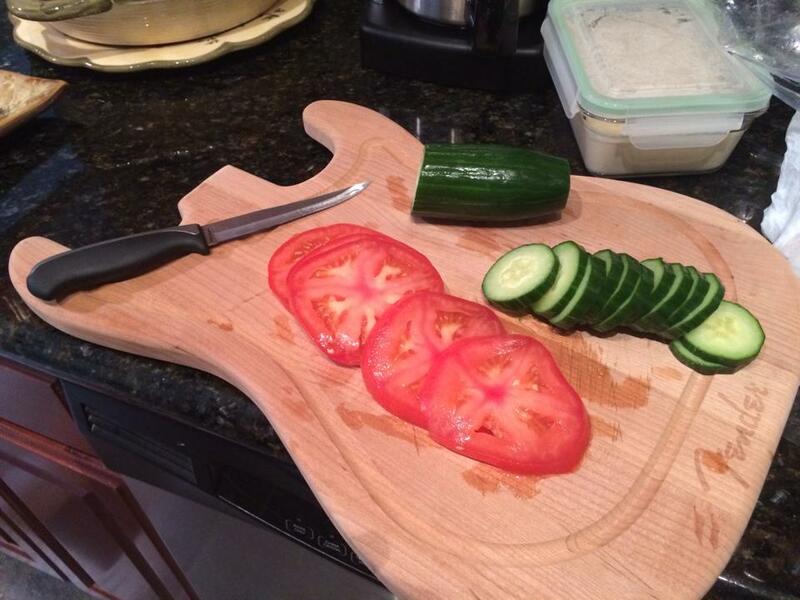 What is no exaggeration of the truth, though, is that guitar is ever-present in my life – yes, including the kitchen – as seen in the image below of my beloved Fender Stratocaster chopping board, which has inspired some of my best dishes. Now I could use some of the Honest products to tidy up my chopping board…!